NEW YORK — Thousands of Falun Gong practitioners will join a parade, live performances and other festivities throughout New York City this weekend to celebrate the 20th anniversary of Falun Gong’s public introduction. Many will also hold vigils outside the Chinese consulate on 42nd Street, in protest of the ongoing persecution of Falun Gong practitioners inside China. Similar celebrations and activities are planned in dozens of cities around the world. Exactly twenty years ago this Sunday, Mr. Li Hongzhi began teaching Falun Gong (also known as Falun Dafa), introducing to modern China a practice with roots extending back thousands of years. By early 1999, there were 100 million people practicing Falun Gong in China alone. Today, Falun Gong is practiced in over 70 countries worldwide. At the core of Falun Gong’s teachings is the understanding that Truthfulness, Compassion and Forbearance comprise the fundamental nature of all lives and all things. 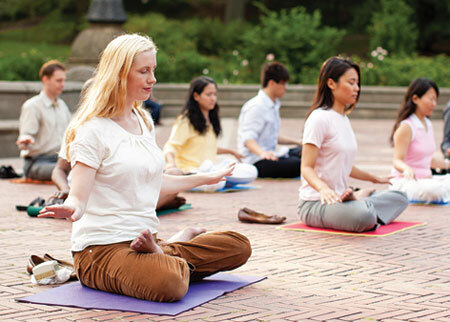 Practitioners of Falun Gong seek to assimilate to these values by practicing slow-moving exercises and a sitting meditation, as well as studying and applying these principles to daily life. In so doing, millions have found not only a sense of inner calm and optimism, but also a profound understanding of life and the universe around them.